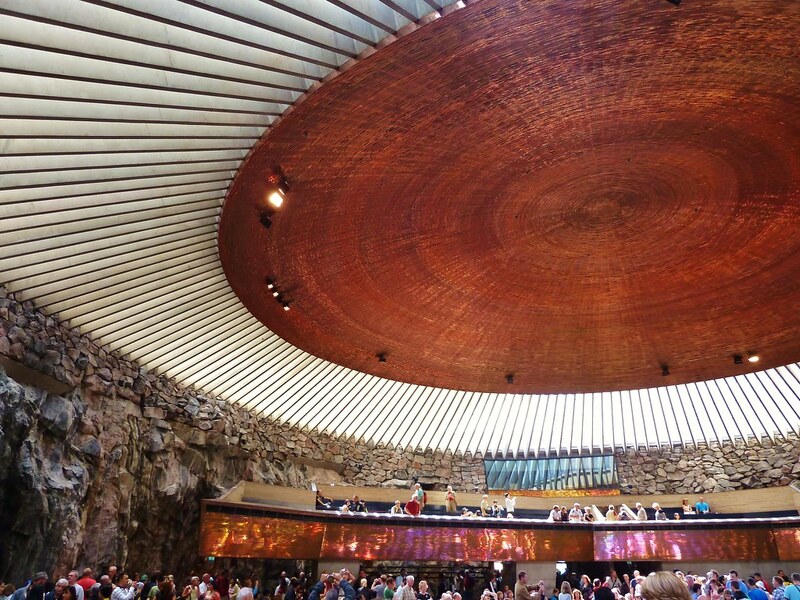 Temppeliaukio Church aka ‘the Rock Church’ is an incredible building in Helsinki, Finland. 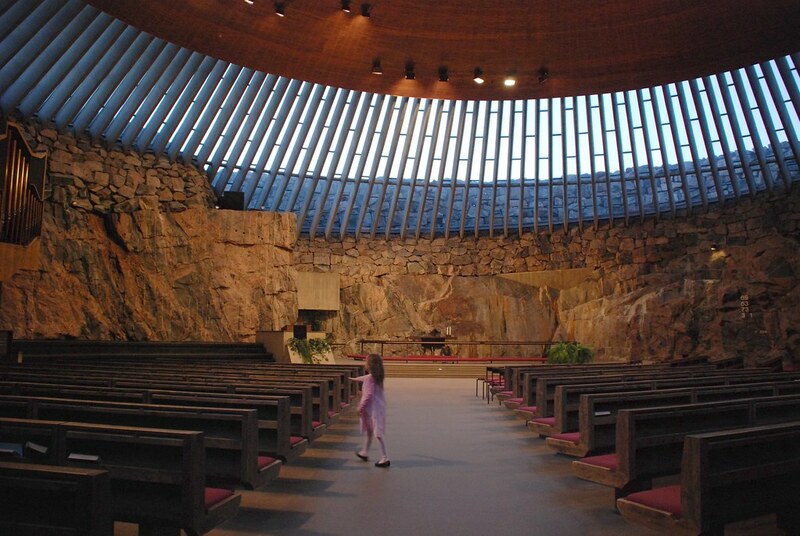 It was designed by brothers Timo and Tuomo Suomalainen and was consecrated in 1969. 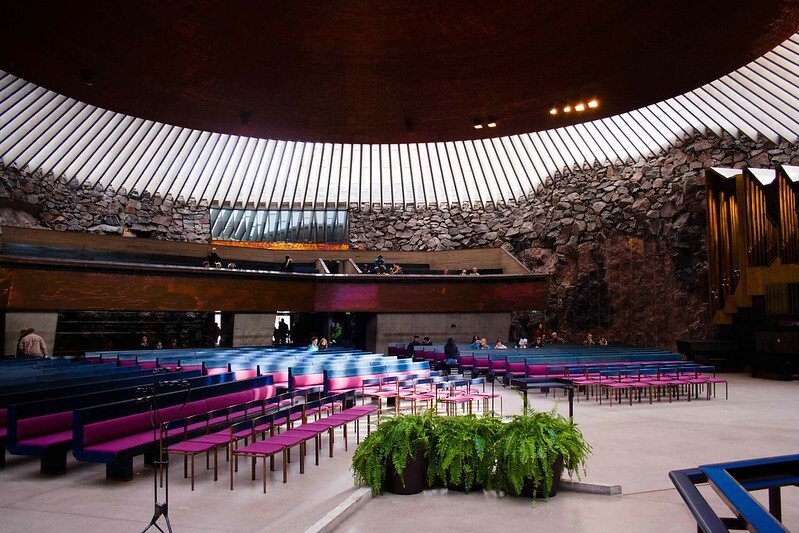 The Lutheran Church is one of Helsinki’s most popular tourist attractions with over 500,000 annual visitors. 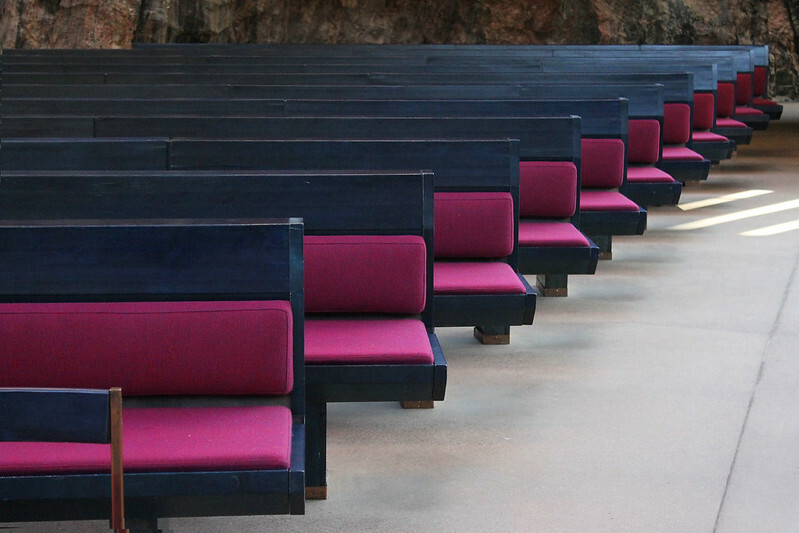 The church was built inside a massive block of natural granite. The architects chose the central location in 1968, when it was just a rocky outcrop rising about 40 feet (12 meters) above street level. The walls of the building were blasted from the inside and topped with a large copper dome. 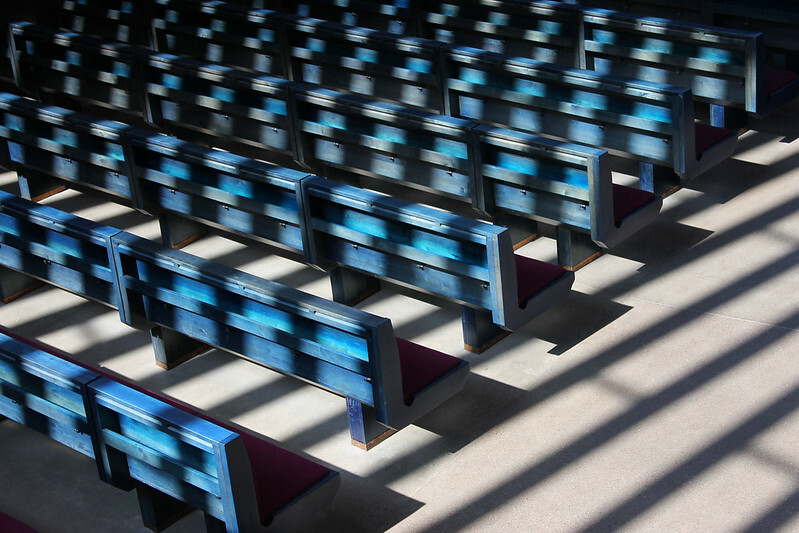 Natural light floods the interior through 180 vertical glass window panes that connect the dome and granite wall. 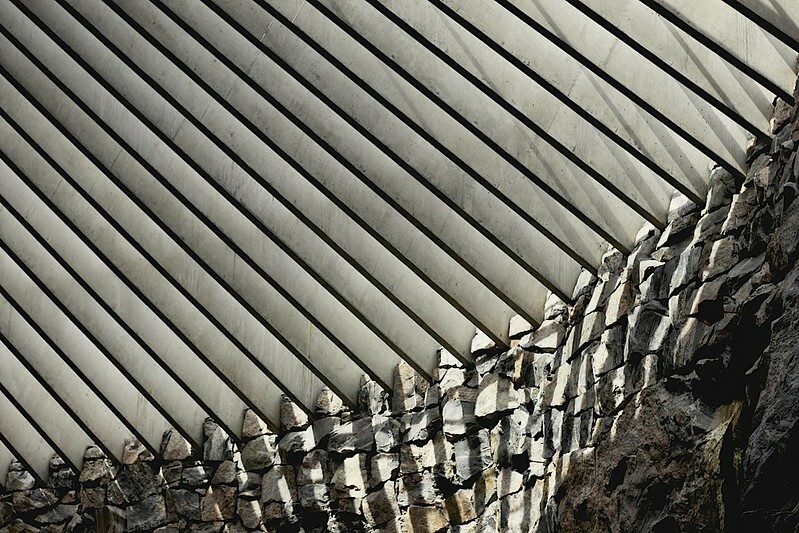 The building is lauded for its amazing acoustics (thanks to the granite) and is a popular venue for music concerts. 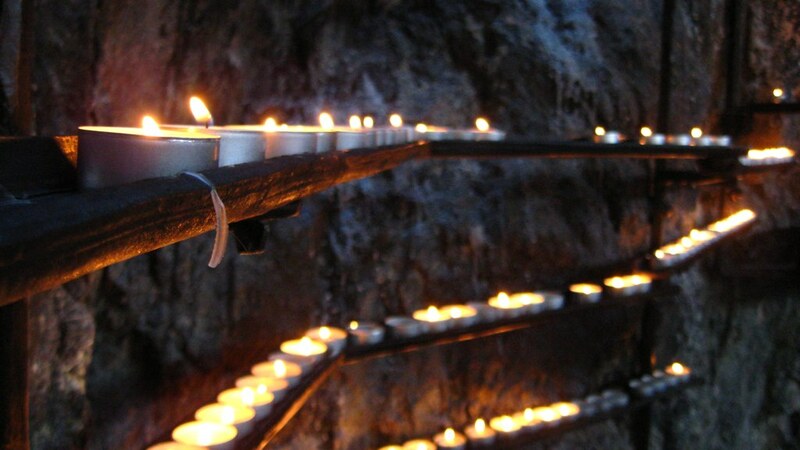 Located in the heart of Helsinki (60.173036° N, 24.925404° E) the church is a must-see destination for lovers of architecture. Please enjoy the gallery below of this breathtaking building.